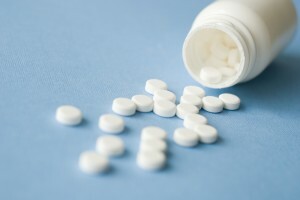 Oxycodone can be prescribed to help with moderate to severe pain. It is an opioid and belongs to the class of narcotic analgesics. It works as a depressant, slowing down the pain signals travelling from our body to our brain, and altering the way our brain responds to pain. This makes our body feel and respond to pain in a different manner as well. Doctors most commonly prescribe Oxycodone as a strong pain reliever. Nonetheless, medical professionals are becoming increasingly worried about the risks associated with using these opioid drugs, especially when they’re taken for a longer period of time. Oxycodone is prescribed as a chronic pain reliever. It is similar to morphine in its potency and opiate effect. Although it’s prescribed to help with pain, the misuse of the prescription painkiller can have deadly consequences. Nonetheless, its popularity has grown recently, since it’s easily accessible and available at a relatively cheaper price than heroin, but offers a similarly powerful heroin-like “high”. The use of each drug or medication always comes with some risk. It’s important to follow your doctor’s advice and read carefully through the label before taking any kind of drugs. Talk to your doctor if you have concerns with oxycodone’s possible side effects. Clots and vein thrombosis that can lead to the loss of limbs, organ damage, stroke and even death. Sharing your injecting equipment with others can increases your risk of experiencing these side effects. Constricted pupils are also a sign of Oxycodone abuse, although overdose may cause the person’s pupils to dilate. Death form an overdose may occur because of a respiratory suppression, mostly when oxycodone is combined with other drugs that can suppress your respiration process. Such drugs are: other forms of opiates, alcohol, or benzodiazepine. When a person who is using Oxycodone is not able to get the usual dose he or she needs, they can start suffering from withdrawal symptoms. They can appear upset, anxious, and sweaty. They can even suffer from bone and muscle pain, diarrhea, chills, depression, insomnia, nausea and vomiting. Oxycodone, typically found in Percocet and OxyContin, is a strong painkiller and among the most abused prescription drugs in the States. Many people who developed an oxycodone addiction actually started out with the prescribed amount. What happened was their bodies built up a tolerance to the drug, which made them need a higher and higher dose each time, in order to experience the same high and pain relief. Regular use of the prescribed drug can quickly and dangerously turn into abuse, which can later turn into addiction. Oxycodone is a powerful pain reliever and offers relief to people who are in pain or struggling with terminal conditions. It can often be hard to stay on top and in control of the situation. Admitting that you have an addiction or recognizing that someone else is suffering from it and offering a helping hand, can help save a life. Oxycodone abuse is nothing to mess with, as it is quite a real and possibly deadly outcome. The best option for an Oxycodone addict to do is to seek out professional help, or enter a detox program, that offers around-the-clock supervision from a professionally trained medical staff. Having the support of a professionally trained staff while going through such an unpleasant experience can help you ease the withdrawal symptoms that will occur.